LABORIE is a worldwide leader in the manufacture and distribution of medical devices in the field of Urogynecology and Gastroenterology. LABORIE cares strongly about advancing these medical fields through innovative equipment and clinician education. 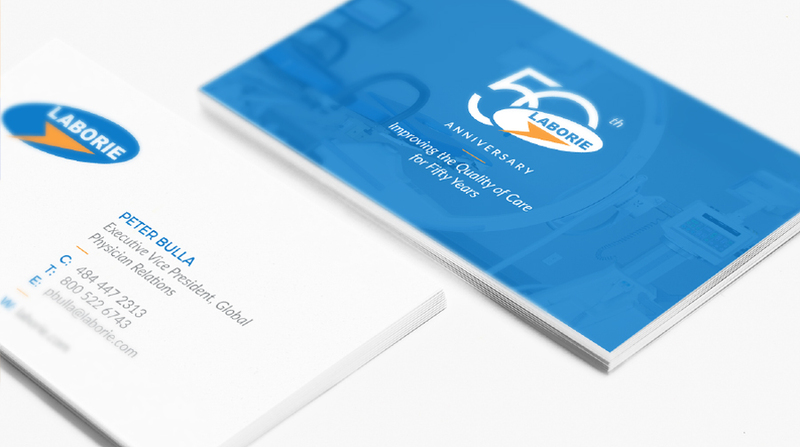 LABORIE was seeking a marketing firm who could lead them through the build of a new website that would reflect their recent expansion into Gastroenterology and the many new devices and supplies that they offer in this field. 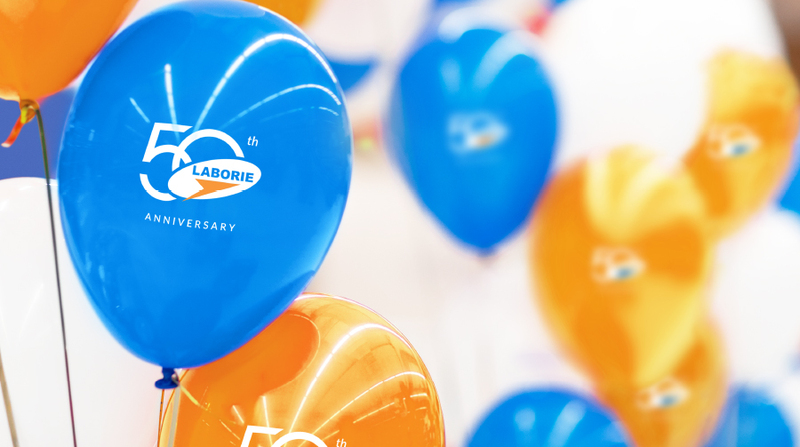 As a global company with offices around the world, LABORIE needed a website that would achieve the objectives of many different groups within the company. 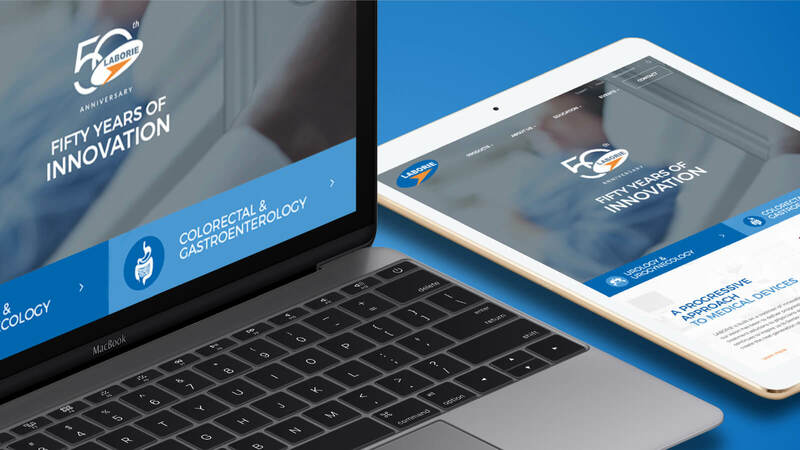 We began by delving into what LABORIE’s expansion into Gastroenterology meant for the brand, so that the website could properly reflect the widened focus of the company. Content was gathered from many different sources and revamped for a consistent voice and message. Another big part of the launch was creating a WordPress back-end that made it easy for LABORIE’s marketing managers to update content, post new events, and respond to customer requests. The LABORIE website was launched on a newly built server. Landing pages and redirects were used to ensure that no traffic was lost or staring at a 404 error. In the month after launch, pageviews had increased by 26%, the average session duration increased by 13%, and the website’s bounce rate decreased by 12%. 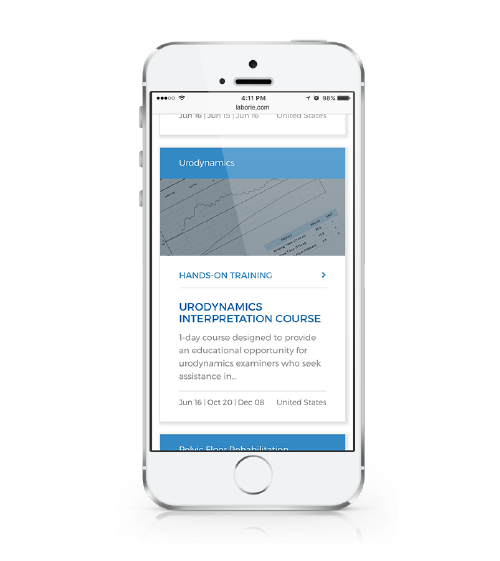 These stats confirm that a more engaging and intuitive website experience was delivered.